Johnson & Johnson is an American multinational medical devices, pharmaceutical and consumer packaged goods manufacturing company founded in 1886. NRG Energy, Inc. is a large American energy company, dual-headquartered in West Windsor Township, New Jersey, and Houston, Texas. Becton, Dickinson and Company (BD) is an American medical technology company that manufactures and sells medical devices, instrument systems, and reagents. 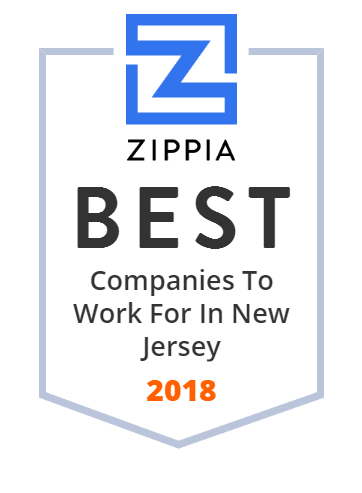 Founded in 1897 and headquartered in Franklin Lakes, New Jersey, BD employs nearly 50,000 people in more than 50 countries throughout the world. In fiscal year ending September 30, 2009, 60% of BD sales were generated from non-U.S. markets. The Merck Group, branded and commonly known as Merck, is a German multinational pharmaceutical, chemical and life sciences company headquartered in Darmstadt, with around 50,000 employees in around 70 countries. Merck was founded in 1668 and is the world's oldest operating chemical and pharmaceutical company, as well as one of the largest pharmaceutical companies in the world. Campbell is driven and inspired by their Purpose, "Real food that matters for life's moments." They make a range of high-quality soups and simple meals, beverages, snacks and packaged fresh foods. For generations, people have trusted Campbell to provide authentic, flavorful and readily available foods and beverages. Wyndham Worldwide Corporation provides hospitality services and products to individual and business customers worldwide. It operates through three segments: Hotel Group, Destination Network, and Vacation Ownership. The Hotel Group segment primarily franchises hotels in the upscale, upper midscale, midscale, economy, and extended stay segments, as well as provides property management services for full-service and select limited-service hotels. This segment operates approximately 7,923 franchised hotels and 697,600 hotel rooms. The Destination Network segment provides vacation exchange services and products to owners of intervals of vacation ownership interests (VOIs); manages and markets vacation rental properties primarily on behalf of independent owners. The Vacation Ownership segment develops, markets, and sells VOIs to individual consumers; and provides consumer financing in connection with the sale of VOIs, as well as offers property management services at resorts. The company offers its hospitality services and products under the Wyndham Hotels and Resorts, Ramada, Days Inn, Super 8, Howard Johnson, Wingate by Wyndham, Microtel Inns & Suites by Wyndham, TRYP by Wyndham, Dolce Hotels and Resorts, RCI, Landal GreenParks, Novasol, Hoseasons, cottages.com, James Villa Holidays, Wyndham Vacation Rentals, Wyndham Vacation Resorts, Shell Vacations Club, and WorldMark by Wyndham. Wyndham Worldwide Corporation was founded in 1990 and is headquartered in Parsippany, New Jersey. Prudential Financial, Inc. is an American Fortune Global 500 and Fortune 500 company whose subsidiaries provide insurance, investment management, and other financial products and services to both retail and institutional customers throughout the United States and in over 30 other countries. Principal products and services provided include life insurance, annuities, mutual funds, pension- and retirement-related investments, administration and asset management, securities brokerage services, and commercial and residential real estate in many states of the U.S. It provides these products and services to individual and institutional customers through distribution networks in the financial services industry. Prudential has operations in the United States, Asia, Europe and Latin America and has organized its principal operations into the Financial Services Businesses and the Closed Block Business. Automatic Data Processing, Inc., commonly known as ADP, is an American provider of human resources management software and services. As of 2010, ADP was one of four American companies to have a AAA credit rating from Standard & Poor's (S&P) and Moody's. Avis Budget Group, Inc. is a leading global provider of mobility solutions, both through its Avis and Budget brands, which have more than 11,000 rental locations in approximately 180 countries around the world, and through its Zipcar brand, which is the world's leading car sharing network, with more than one million members. Quest Diagnostics Incorporated (NYSE:DGX) is an American clinical laboratory with headquarters in Madison, New Jersey. Founded in 1967 as Metropolitan Pathology Laboratory, Inc., it became an independent corporation with the Quest name on December 31, 1996. As a Fortune 500 company, Quest operates in the United States, United Kingdom, Mexico, Brazil, and maintains a laboratory in India. Quest also maintains collaborative agreements with various hospitals and clinics across the globe. Cognizant is a multinational corporation that provides IT services, including digital, technology, consulting, and operations services. It is headquartered in Teaneck, New Jersey, United States. Cognizant is included in the NASDAQ-100 and the S&P 500 indices. It is also one of the fastest growing Fortune 500 companies. It was founded as an in-house technology unit of Dun & Bradstreet in 1994, and started serving external clients in 1996. PBF Energy (NYSE: PBF) is a petroleum refiner and supplier of unbranded transportation fuels, heating oils, lubricants, petrochemical feedstocks, and other petroleum products. Headquartered in Parsippany, New Jersey, the company's refineries include facilities in Chalmette, Louisiana, Toledo, Ohio, Port of Paulsboro in Gibbstown, New Jersey, the Delaware City Refinery in Delaware City, and the former ExxonMobil refinery in Torrance, California. PBF produces a range of products including gasoline, ultra-low-sulfur diesel (ULSD), heating oil, jet fuel, lubricants, petrochemicals and asphalt. Newell Brands is an American worldwide marketer of consumer and commercial products with a portfolio of brands including Rubbermaid food storage, home organization and reusable container products; Contigo and Bubba water bottles; Coleman outdoor products; Diamond matches; Sharpie, Expo Markers, PaperMate, Dymo, Elmer's, Krazy Glue, Mr. Sketch, Parker Pens, Uniball, Prismacolor, Rotring, Xacto, Waterman, Berol stationery products; Bicycle and Bee Playing Cards; Aprica, Nuk, Tigex, Babysun, Baby Jogger and Graco children's products; First Alert alarm systems; Calphalon cookware and kitchen electrics; Sunbeam, Rival, Crock-Pot, Holmes, FoodSaver, Oster, Osterizer, Mr. Coffee small kitchen appliances; Yankee Candle candles; and Jostens custom memorabilia.